The timeless Claddagh - The hands for friendship, the heart for love, and the crown for loyalty. The Claddagh ring (Gaelic: fáinne Chladaigh) is the immortal Irish symbol of love, kinship and fidelity. The hands symbolize friendship, the heart love, and the crown loyalty. The design originated in the fishing village of Claddagh outside Galway in the 17th century. It has become world famous for its powerfully romantic message. It's a wonderful daily reminder of what really counts in life. 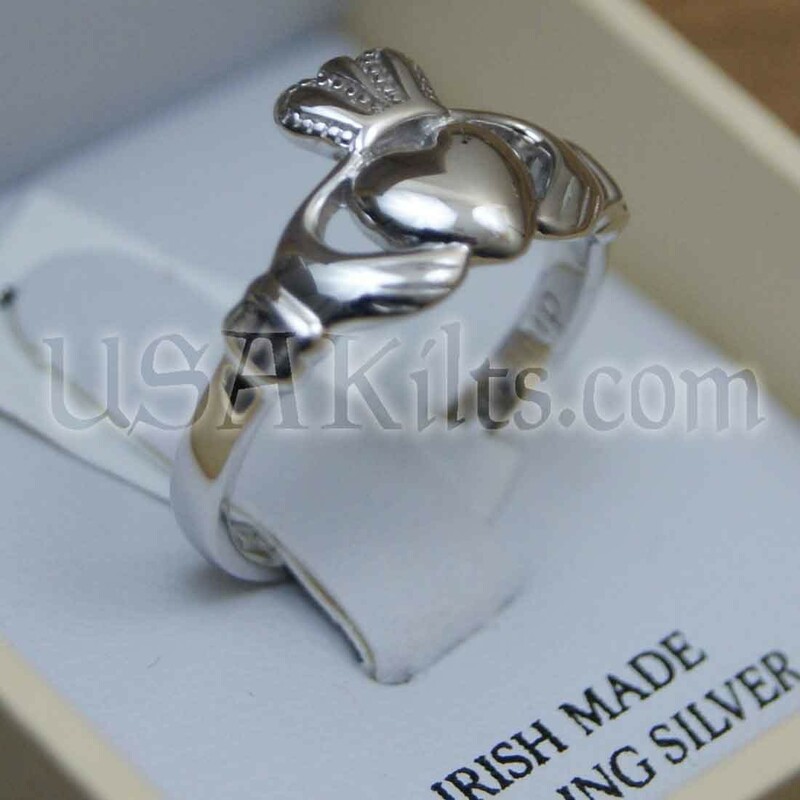 Our sterling silver Claddagh rings are handmade with care by accomplished jewelry smiths in Galway. Delicate silver hands hold the heart tenderly, but with strength, while the intricately carved crown rests above. As an added touch, the inside of the band is inscribed with "Love Loyalty Friendship." This is a very comfortable ring to wear. 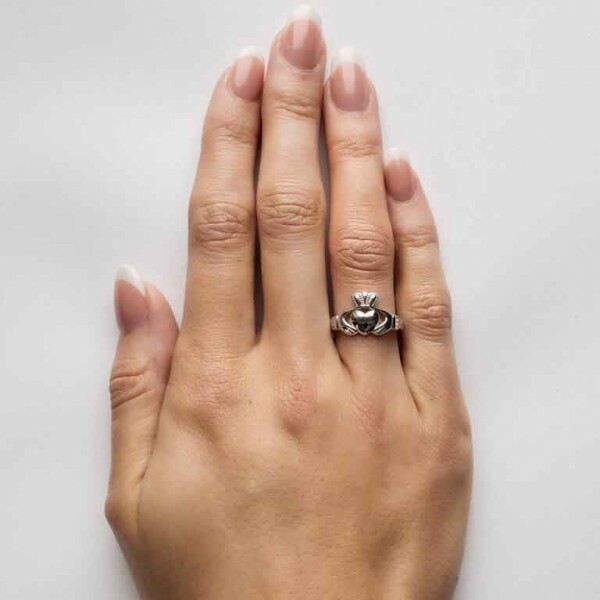 Classic, subtle and refined, our Claddagh ring may be worn for any occasion and pairs with any outfit -- from casual wear to the little black dress.